Etton High Meadow is an eight acre series of paddocks just north of the village and was established as the Trust’s fifth reserve in 2013. 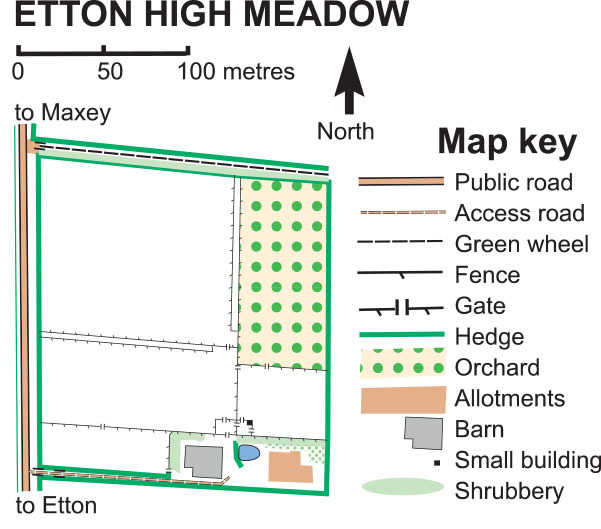 Our vision is that High Meadow will become a treasured asset for the local communities of Etton, Glinton, Maxey and Helpston, providing access to locally grown fruit through a community orchard; a space for nature, through its wild-flower meadows and hedgerows; a venue in its barn for community events and a destination on Peterborough’s Green Wheel. Over more than twenty years, the paddocks around the large barn at High Meadow have reverted to grazed meadows, the boundaries have become tall hedgerows, and more recently an orchard with 72 trees has been created, showing the variety of plants and flowers present in the sward if left ungrazed. 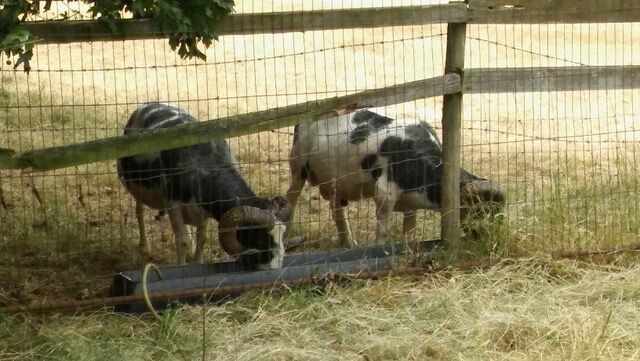 (The subdivided paddocks are used as “overflow” grazing from the reserves, and to segregate sheep from rams at certain times of the year). 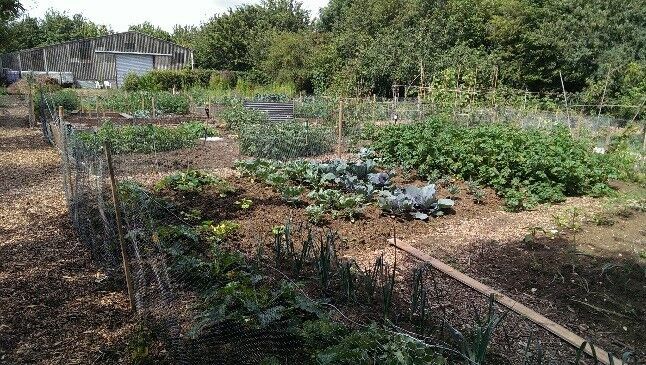 As well as the barn structure, a “cottage garden” had originally been created in the SE corner with heritage fruit trees and hedgerows – all now matured. This is now the location of six allotments for local people, supplemented by a lined pond fed with water from the barn roof. In four years this has become a lively wetland feature in a dry area, with suitable plants and great insects. Where else would you find wild pears and spindle tree, medlars and quinces, alongside emperor dragonflies and purple loosestrife? The reserve has its own nature interest, surrounded as it is by thick hedgerows and with a large, recently restored pond near the main barn. Barn and little owl can be seen and grey wagtail have nested on the reserve. Familiar farmland birds also make their home here. There is no public access to the site, but the Trust organises regular work parties on the reserve which are open to all. Details of them can be usually found on the Trust’s Facebook pages.